I spent the 2013 Memorial Day long weekend in Big Bend Texas, catching bats with Loren Ammerman and her students. A year later I was back and once again the great people at the Angelo State University in San Angelo were going out of their way to be helpful to my mammal watching. If there was a Nobel Prize for mammal watching, the biology department at the University would most definitely win. 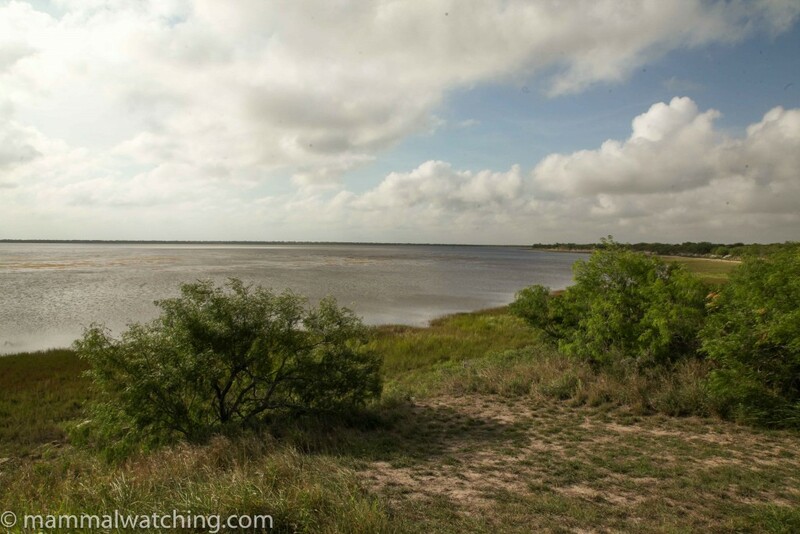 I flew to Austin on Saturday morning, picked up a car and started the weekend off with a visit to the Laguna Atascosa National Wildlife Refuge, down on the Rio Grande, about 5 hours south east of Austin. 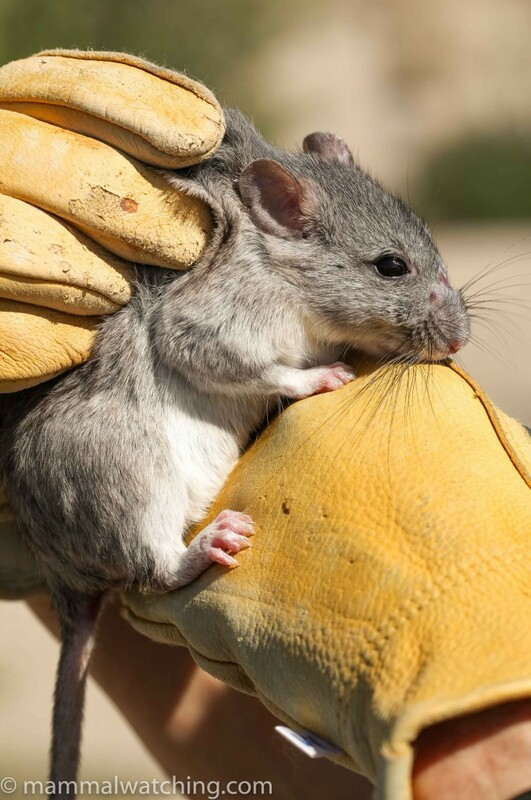 I was heading down to the Gulf Coast to look for Gulf Coast Kangaroo Rats and figured I could start off at the Laguna, a place where John Fox has seen a Northern Pygmy Mouse and where Curtis Hart had told me I should be able to turn up a Southern Plains Woodrat. I couldn’t see any pygmy mice around the photo blind (despite waiting for 2 hours pre-dusk) but did see at least five wood rat nests. Sure enough, just after dusk I got a short look at a Southern Plains Wood Rat jumping off of the bird feeder in front of the visitor centre: it hightailed it into a tree as soon as I put the light on it, and didn’t hang around for long in the tree either. Also around were several White-tailed Deer, a Raccoon and some Eastern Cottontails. 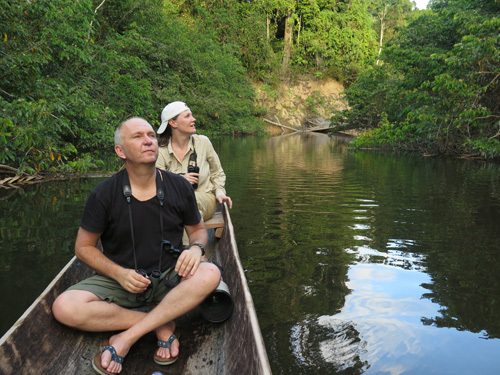 The laguna is also home to Ocelots and Jaguarundis. The latter especially are very rarely seen (with no confirmed records for many years in the USA). An hour later I was in South Padre Island. It’s a busy resort and Memorial Day is not the time to visit if you value peace and quiet. Curtis Hart told me that the Gulf Coast Kangaroo Rats live in the dunes in the north of the island, and that there is only one road that goes through them. He’d driven it several times and had only once missed seeing an animal. Sure enough, not long after the last beach access exit (no. 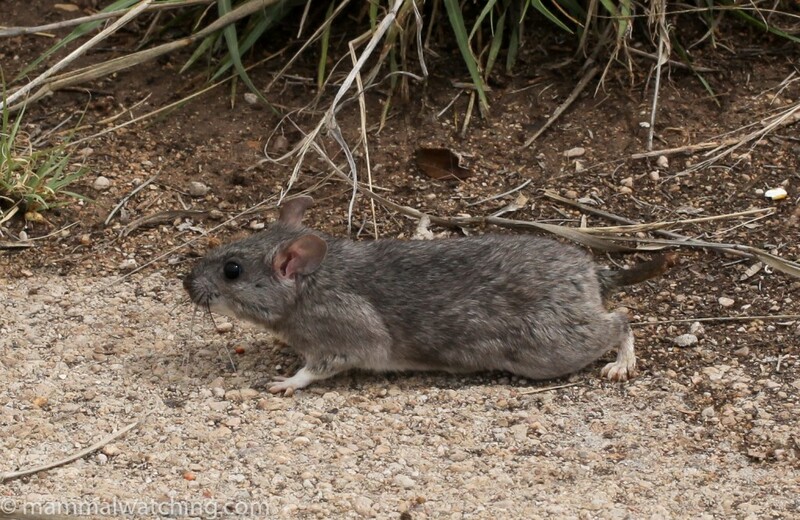 6) I got a short look at a kangaroo rat dashing across the dunes. I drove to the end of the road (which is now closed – there is no access to drive on the beach as there was when John Fox visited) but didn’t see any more. Not particularly satisfactory but the road was quite busy and I still had another three hours to drive before bed so I didn’t try to see more and headed north towards Corpus Christi. I found a motel at 1 a.m. about 30 miles south of Rockport. 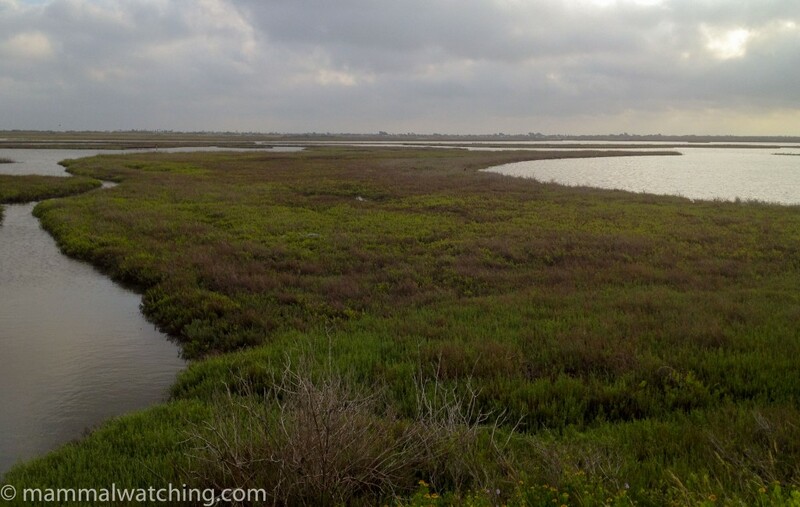 Just after dawn the next day I was on Cape Velero Drive in some salt marshes in an area where I’d read reports of Swamp Rabbits. I saw dozens of Eastern Cottontails but at the edge of the lawn of the High Villas complex I saw a much larger rabbit with a different giz: my first Swamp Rabbit, unfortunately more skittish than the cottontail next to it, and too distant for a photo. My plans for the weekend were primarily focused around trying to see a Hog-nosed Skunk. San Angelo is in the skunk capital of the USA: Striped, Hog-nosed and Western Spotted Skunks are all around town, with Eastern Spotted Skunks an hour away. Hooded Skunks are harder to find. The town is also home to Dr Robert Dowler, one of America’s foremost skunk experts and one of the world’s friendliest mammalogists. Both Fiona Reid and Loren Ammerman had mentioned him to me, so when I wrote to him a few months earlier to ask if he could give me some advice on seeing a Hog-nosed Skunk he came straight back with a promise to spend time in the field with me. But the best laid plans of skunks and men …. 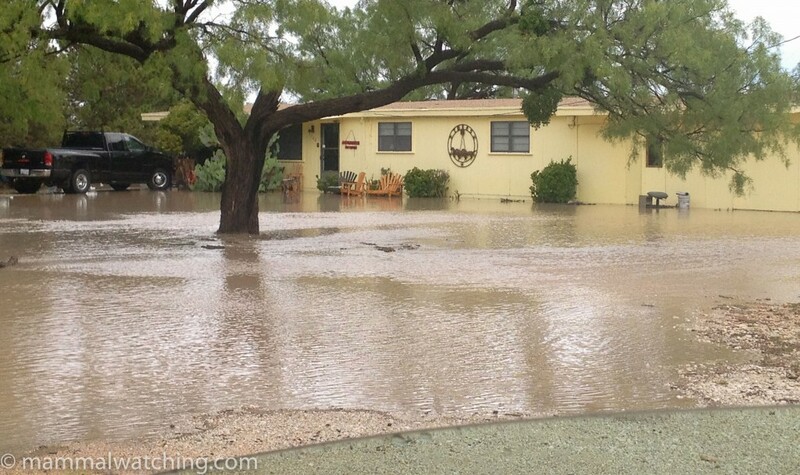 San Angelo was in the middle of a major drought. They’d had less than an inch of rain all year. Until I arrived, when the heavens opened and dumped over 5″ on some areas around town, including the ranch the Bob Dowler studies Hog-nosed Skunks on. I arrived just after the rain had stopped but it wasn’t hard to notice there had been a shower or two. 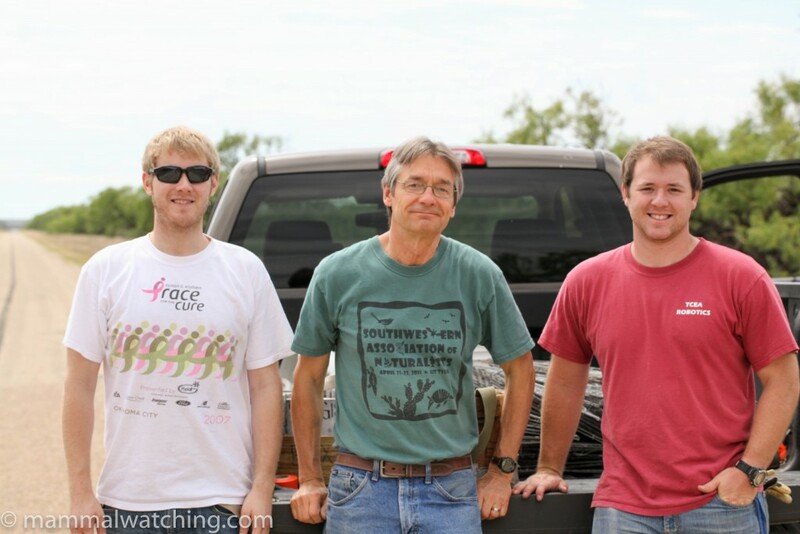 The ranch was shut to traffic, but at least the rain had stopped so Bob, together with two of his grad students, Zac Ellsworth and Clint Morgan, decided we could visit a university ranch abutting San Angelo State Park instead. So on Sunday evening we set 200 sherman traps and some cage traps there and spent an hour spotlighting. 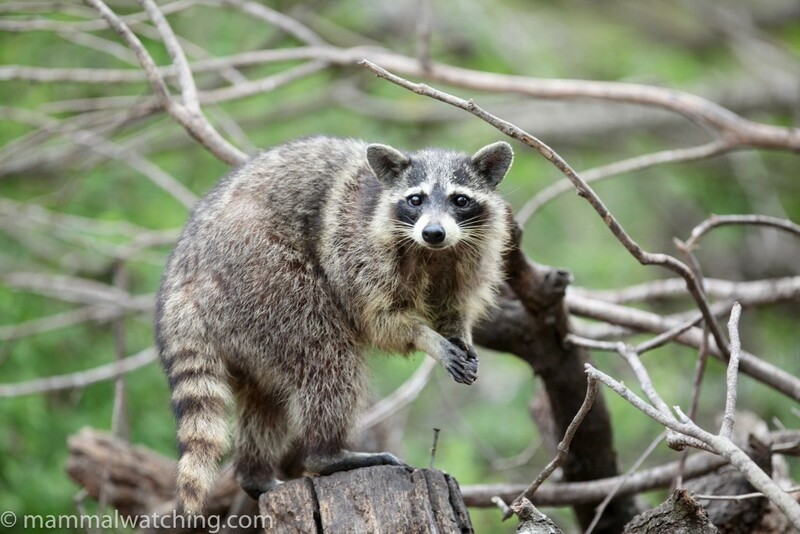 Though the ranch we had planned to visit was much better for Hog-nosed Skunks, the property we were on was good for Western Spotted Skunks so Bob hoped we might catch one (the chances of spotlighting one were extremely slim). 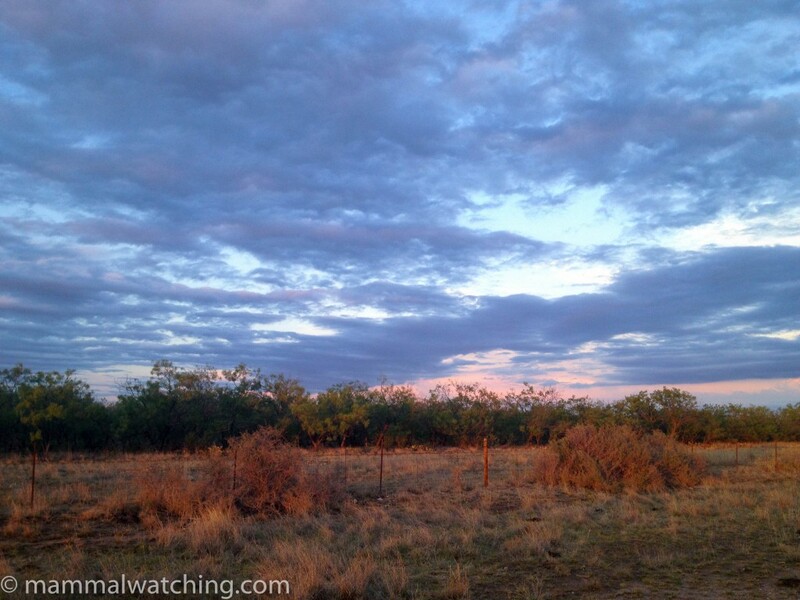 We didn’t see any skunks that night, but we did see a few Collared Javelina, a Raccoon, a Black-tailed Jackrabbit, Eastern Cottontails and White-tailed Deer. The next morning we checked the traps, and it had been a productive night. It was great to get a better view than I’d had at Laguna Atascosa of several Southern Plains Woodrats, lovely looking things. 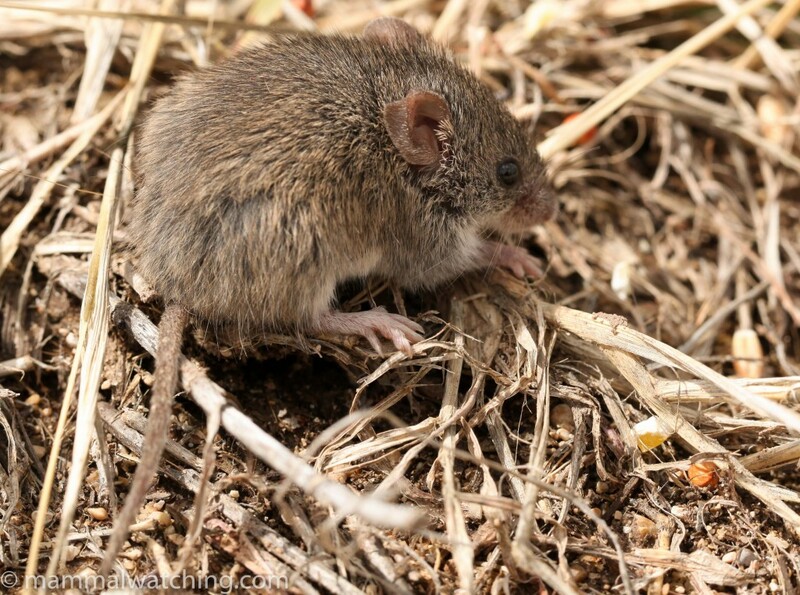 There were several tiny Northern Pygmy Mice (Baiomys taylori) in the Shermans, a lifer for me. 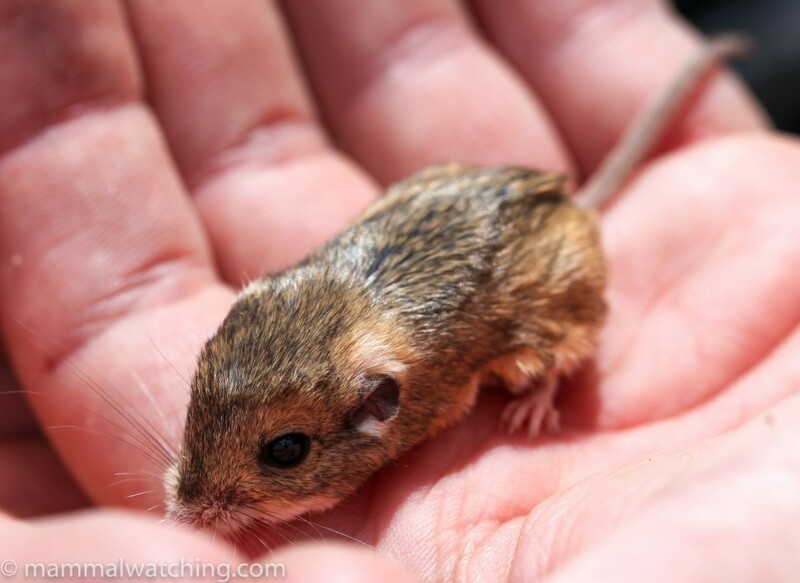 Some pretty little Merriam’s Pocket Mice (Perognathus merriami) were even small than the Baiomys, and another lifer. 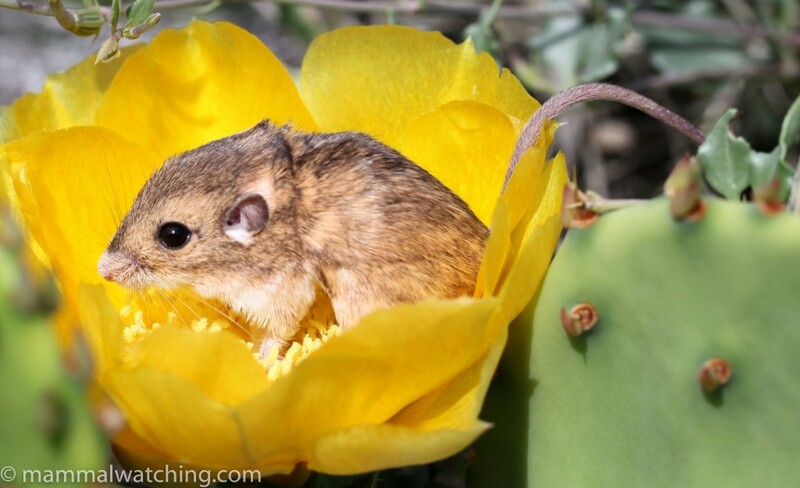 And one was good enough to sit still in a Prickly Pear flower when we let it go. 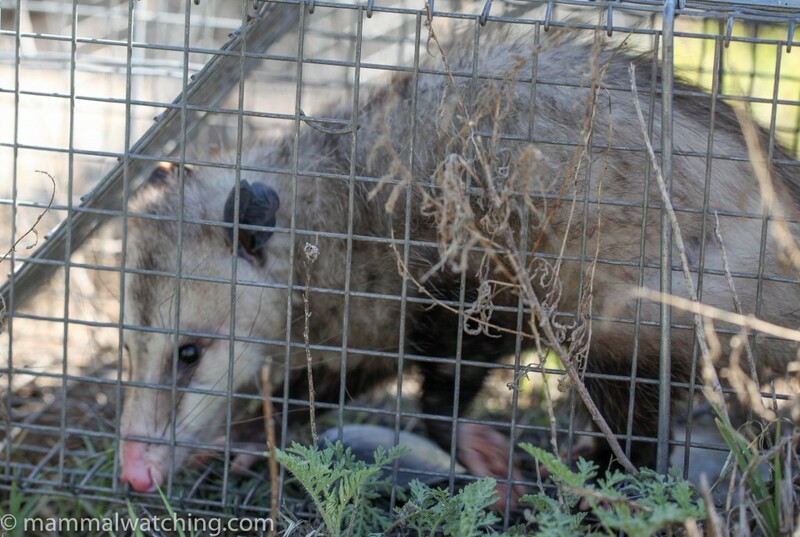 Sadly no Spotted Skunks in the cage traps, but there more Woodrats, a Raccoon and a Virginia Opossum. 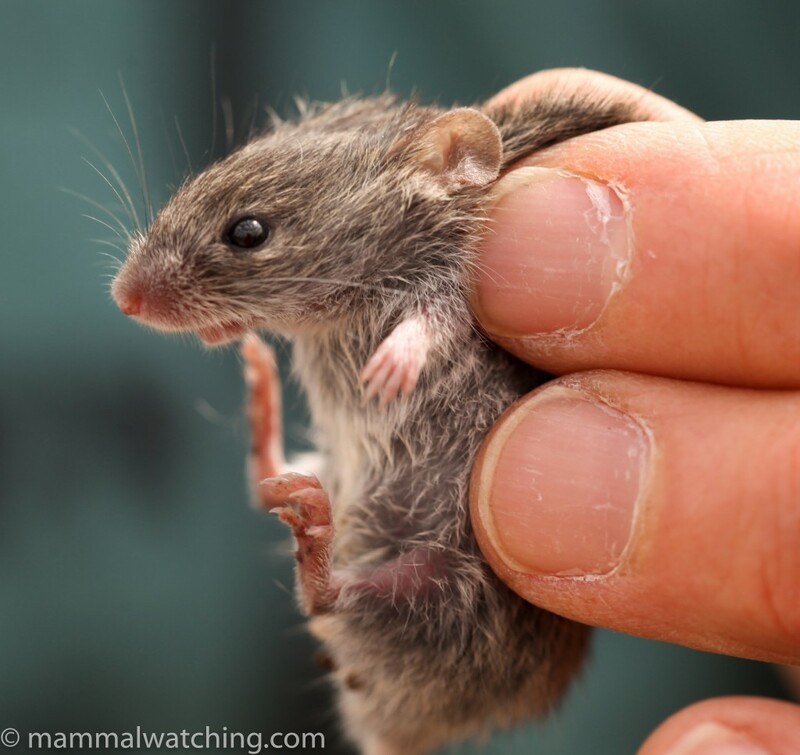 Both the Merriam’s Pocket Mice and Northern Pygmy Mice were lifers for me. But Bob wasn’t satisfied and decided he could try to catch me a pocket gopher before I returned to Austin. So we stopped just outside the town of Bellinger, set some traps and went for lunch. 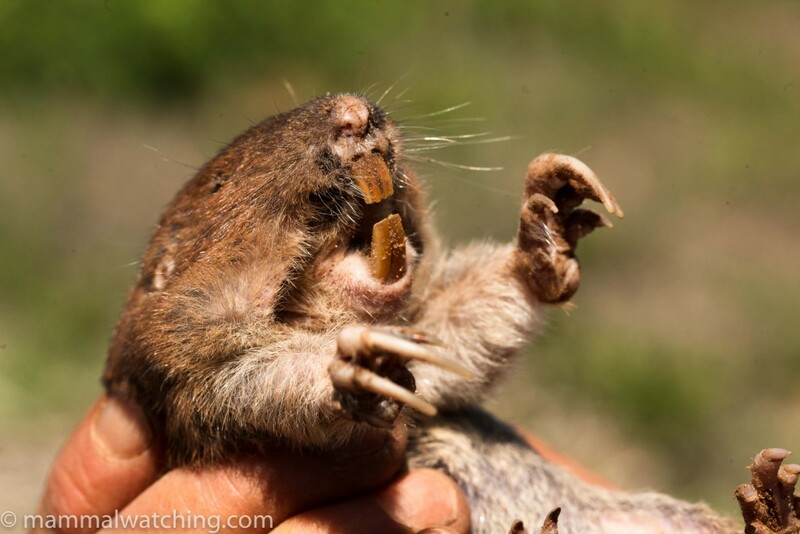 An hour later Bob had caught me my first pocket gopher: a Plains Pocket Gopher (Geomys bursarius). A cool animal to see up close. Given the speed with which we caught it I imagine it would be quite possible to see them in the wild quite quickly by simply opening a fresh hole and sitting back to wait for them to return to repair the damage. 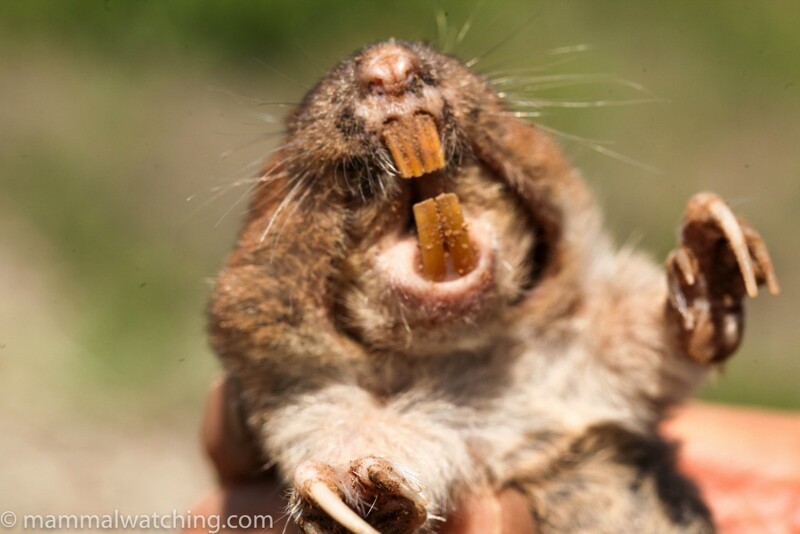 Plains Pocket Gopher, Geomys bursarius. 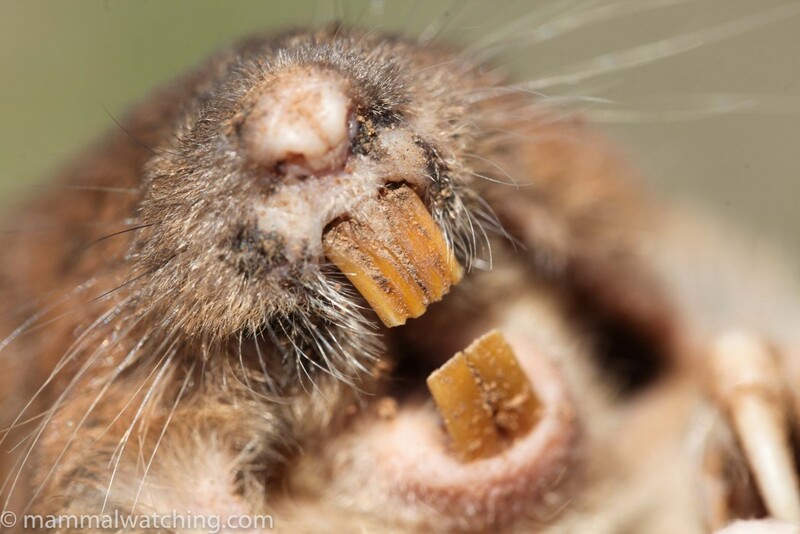 Note the central and inner groove on each upper incisor, which is diagnostic of the geomys genus. So a great weekend, despite the rain and lack of skunks. Six lifers for me, and a chance to return again to see some of the other species I missed. A huge thanks to Bob, Clint and Zac who were so generous with their time and energy. They were knowledgeable and great company too. San Angelo mammalogists rock!